Kim Hyung Jun who is receiving great response for playing the role of irritable top star Kang Min in KBS drama Glowing She (Shining Girl), is receiving attention for the behind the scene photos from the set that look like pictorial photoshot. 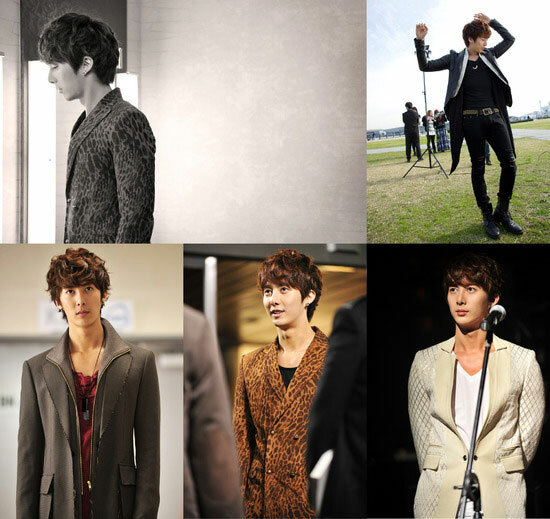 On January 19th, 2012, a series of behind the scene photos of Kim Hyung Jun from the shooting scene of Glowing She was suddenly released, which let people reminiscent of the appearance filled with pictorial atmosphere, and caught people’s attention. Netizens who saw the photos said, “The look of Kim Hyung Jun when acting is just like a photoshoot in itself,” “Although it’s photos from the filming set but he looks great,” “He looks good in a suit,” and so on. On the other hand, Kim Hyung Jun vividly portrays the role of top star Kang Min who is short-tempered and overweening, and displays the charisma of the character. At the same time, although it’s his first time acting, but he demonstrates unyielding, true and steady acting, and is critically acclaimed. The frank and lively story is resonating with viewers of 20 to 30 years old.